We will be using the Be Beautiful nutritionals to quench your body, nourish your cells and restore a healthier appearance. Your skin will be enriched, revitalized and protected through ground breaking cellular technology. 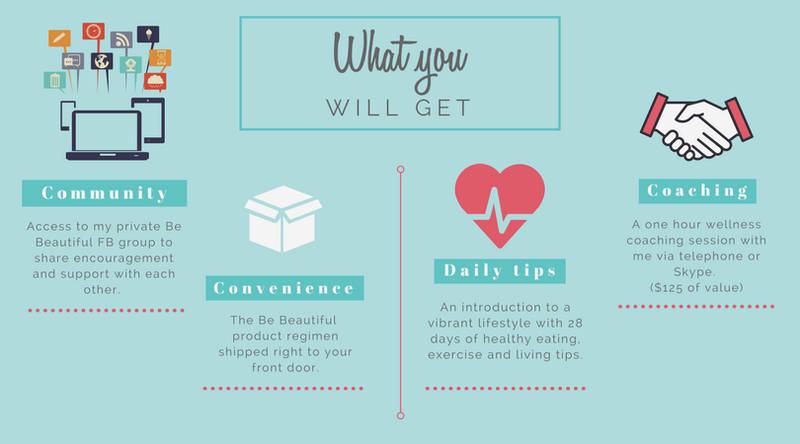 If you are interested in the Be Beautiful Program, simply fill out the form below. I'll then be in touch to set up a time to chat and determine the products you will need to purchase for the program.